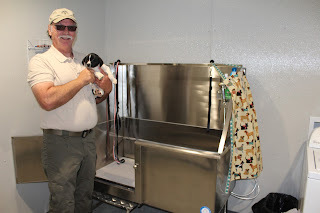 border collie mix puppy to the shelter’s new bath tub for dogs. 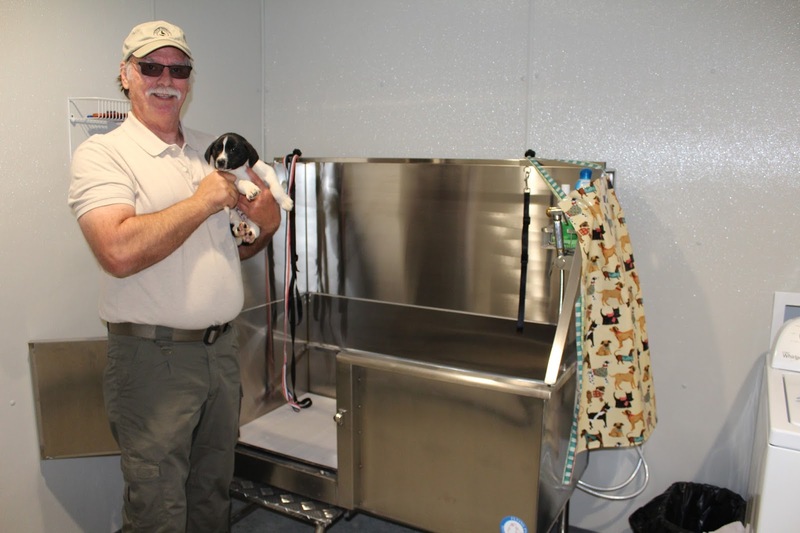 Sallisaw’s new Animal Care Facility drew a large crowd to its open house on Friday. Over 50 attended and were treated to a barbecue lunch with beans, cole slaw, cake and other goodies. Volunteers served the lunch and said they worked hard finishing the shelter and getting it ready for the open house. 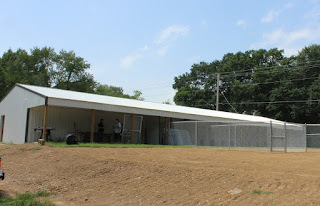 Visitors were also given a tour of the new building which boasts new kennels and runs, an exercise yard, kitchen, laundry, exam room, and reception area. The grounds also include a new security gate, raised flower beds, and newly resurfaced entrance road. Randy Freeman, animal control officer, said the shelter has several dogs ready for adoption, including eight-week-old male puppies, both border collie/terrier mixes. He said the puppies were found dumped on a nearby road, but are spunky and lovable. For more information on the shelter and its adoptable pets, call 918-775-4126. A Gore couple, arrested Feb. 3 and charged with accessory after the fact in the disappearance and suspected murder of Matthew Fagan, have both entered not guilty pleas to the charge. 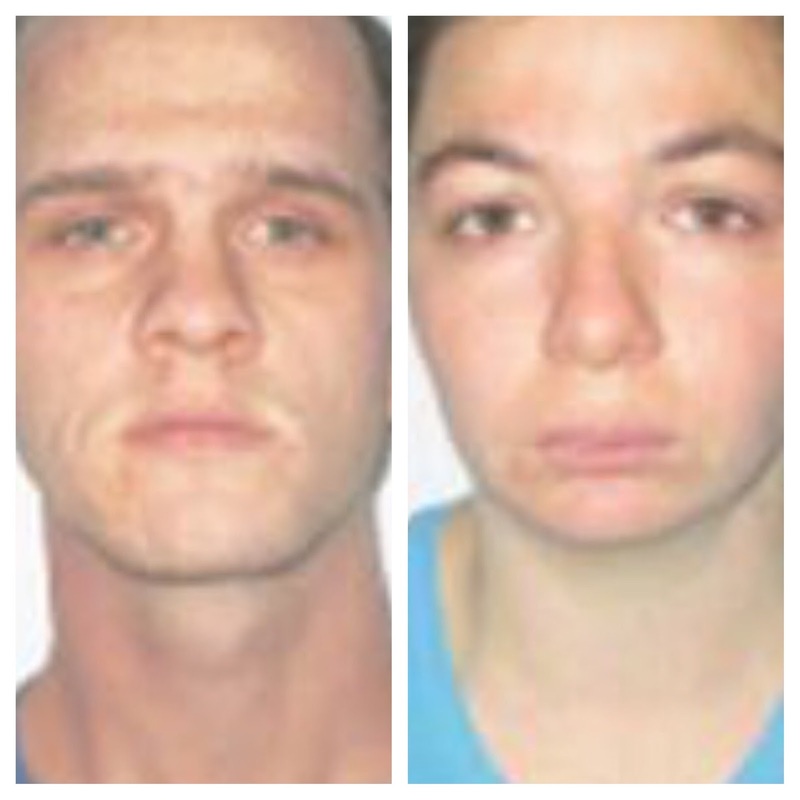 Matthew Terrell, 22, and Sha Lynn Moyer Terrell, 24, are accused of helping three Webbers Falls men dispose of Fagan’s body near Lake Tenkiller in June. Fagan’s body has never been found, but Sequoyah County Sheriff Larry lane said the search is continuing. 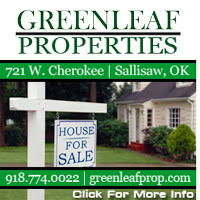 The Terrells were interviewed in late January and on Feb. 3, according to the investigator’s report filed with the charges in Sequoyah County District Court, Sallisaw. Sha Lynn Terrell continued to deny being involved, the investigator reported. But her husband, Matthew Terrell, told the investigator that both he and his wife were contacted by the persons suspected of Fagan’s disappearance and possible death on June 21. He told the investigator that the three suspects contacted him because they wanted to go back to Buzzard Roost Nature Trail to look for Fagan. According to the report, Terrell took his father’s truck, while his father was sleeping. Matthew Terrell, Sha Lynn Terrell, Patrick Ledford, Tyler Leverett, Michael Snelling and Charles Shamblim then drove back to the nature trail. At the trail, Shamblin, Snelling and Leverett went into the woods, Terrell said, and came back carrying Fagan’s body, which they put in Terrell’s pickup truck bed. Terrell said Leverett then directed Terrell to drive on a dirt trail that went to the water’s edge on Lake Tenkiller. At the lake, Terrell said Shamblin, Snelling and Leverett unloaded the body, and were gone between 30 and 60 minutes. When they returned, Terrell said he noticed all three were wearing muddy boots. Terrell then drove the men to Webbers Falls. Snelling, 22, and Shamblin, 25, are charged in district court with first-degree murder, and Leverett, 22, faces a second-degree murder charge. All three entered not guilty pleas to the charges. According to the investigator’s report filed with the charges against Snelling, the suspect said the three participated in beating Fagan, then later wrapped the body in chicken wire and dumped Fagan’s body in Lake Tenkiller. Fagan’s death, reports indicate, was the result of an argument over a woman. 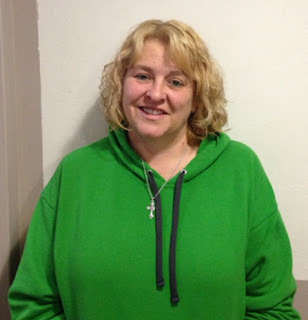 Sha Lynn Terrell’s next court appearance is slated for May 4. Matthew Terrell’s next court appearance is scheduled for April 19 on Associate District Judge Kyle Waters’ disposition docket. The open house at the new Sallisaw Animal Care Facility will be held from 11:30 a.m. until 1:30 p.m. Friday. Randy Freeman, Animal Control officer, said refreshments will be served. Freeman said the shelter has 10 dogs available for adoption. Plans are for the shelter to eventually have cats and kittens available, but no felines are available yet. Freeman noted that Teresa Morton in Muldrow has a new low-cost spay and neuter program. 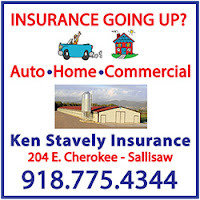 For information or to make an appointment call 479-651-1319. 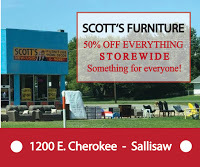 The Sallisaw shelter gladly accepts donations of both money and materials. Freeman said full-size towels are especially appreciated because they fit the dog beds exactly. 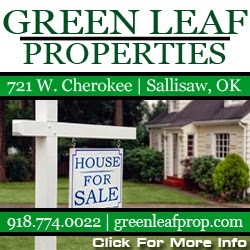 For information on the Sallisaw shelter call 918-775-4126. Carl Albert State College (CASC) has announced plans for the 2017 Commencement. This year CASC is moving graduation to the Hamilton Auditorium on the Poteau campus on May 6. Because of the change in location, there will be two ceremonies, one at 10 a.m. and the other at 2 p.m. Leading up to the date of the CASC commencement ceremonies, graduating students will select if they want to participate in the 10 a.m. or 2 p.m. ceremony. The students have from now until May 1 to select their ceremony time, and they have been given instructions on how to select using the VIKECONNECT portal. In planning the commencement ceremonies, the CASC graduation committee decided allowing students to select their ceremony time would be good for the graduates. With this, instead of assigning certain divisions to certain times, students have more flexibility to work around their guests’ schedules, as well as perhaps graduate at the same time as some of their friends. 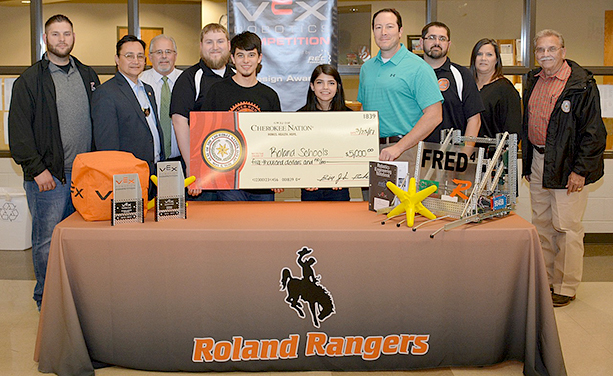 presents a Cherokee Nation check for $5,000 to Roland Public Schools for special projects. Bryan Warner of Sallisaw, Cherokee Nation Tribal Councilor, Deputy Chief S. Joe Crittenden and Secretary of State Chuck Hoskin Jr. recently presented both Roland Schools and Central Schools checks for $5,000. The tribe donated the money from its special projects fund. Projects funded through the special projects fund are selected by the tribal council and Principal Chief Bill John Baker’s office, and allow the tribe to partner with communities and organizations on projects that benefit both Cherokee Nation citizens and non-Cherokees alike. The schools have special projects ranging from an outdoor playground shelter to a washer and dryer for laundry services for students in need. Roland Superintendent Randy Wood said Cherokee Nation’s support is vital at a time when school budgets are being trimmed. Larry Henson, Central Schools superintendent, said a storm last year uprooted a large tree on the elementary playground, leaving no shade for students and teachers. Bryan Warner of Sallisaw, fourth from right, Cherokee Nation council member, presents a Cherokee Nation check for $5,000 to Roland Public Schools for special projects. A Roland woman was arrested Monday for the embezzlement of $427,699 from her employer, Anchor Financial Services in Roland. Carolyn Louise Hignite, 45, surrendered to authorities on Monday at the Sequoyah County jail, where she was arrested by the Oklahoma State Bureau of investigation (OSBI). Her bond was set at $5,000. The OSBI reported Hignite is accused of preparing the 122 fake loans, since Christmas 2012, to fund a gambling habit. Anchor Financial Services reported the alleged embezzlement to the Sequoyah County District Attorney, who requested the OSBI special investigate the case. 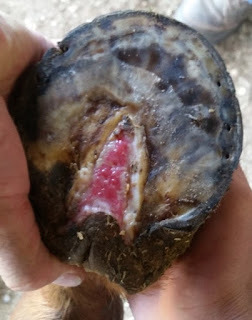 Horse hoof with the "frog" cut from the bottom by Dimitt. Long-time horse trainer Robert Howard Dimitt, 59, was sentenced Friday to five years in prison for five counts of animal cruelty, a 20-year suspended sentence and 10 years probation, and a $3,000 fine. District Judge Jeff Payton delivered the sentence in Sequoyah County District Court, Sallisaw. Dimitt was charged Aug. 20, 2015, with five counts of cruelty to animals after race horses in his care were found dead or mutilated by Charlotte Northam of Ada. Northam is the agent for Kentucky racehorse owner Edward D. Leslie, MD. Northam told the Rate My Horse PRO website that she hopes this case makes horse owners more aware of what can happen when you don’t check on your horses in training. Dr. Leslie’s horses Awesome Ashley, Ashley’s Freight Train and Gold Digging Ashley were trained by Dimitt. Ashley’s Freight Train died without water or veterinary care before her body was burned. She was identified by DNA testing. Awesome Ashley had to be euthanized three weeks after she was found. Gold Digging Ashley, who was winning at Ruidoso in New Mexico, was saved from death, although her racing career is over. She remains in Northam’s care. Dimitt changed his plea from not guilty to no contest last month, avoiding the scheduled jury trial. Judge Payton then ordered a pre-sentence investigation, and delivered the sentence Friday. Judge Payton set a judicial review for Sept. 7. Voters will go to the polls Tuesday for the April 4 Roland and Vian Municipal Elections, Cindy Osborn, Sequoyah County Election Board secretary, said. 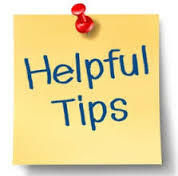 Osborn advised voters to keep the following information and tips in mind as the election approaches. - Early voting will be available at the county election board office from 8 a.m. to 6 p.m. Thursday and Friday. - Those who became physically incapacitated after 5 p.m. Tuesday March 28 still can request an emergency absentee ballot. Those who might qualify for an emergency absentee ballot should contact the county election board office at 918-775-2614 as soon as possible for more information. The third in the series of free workshops is scheduled for April 11 at the Joe E. White Library on the CASC Poteau Campus. Since many prospective students enter college with low ACT scores or no ACT scores, one free ACCUPLACER study resource will be provided by EOC. According to Kellogg, this is utilized during the enrollment process as a beneficial tool to place students in the specific coursework that will provide the best foundation for success. Attendees will also be provided a $5 voucher from CASC Library Director Terri Carroll redeemable for repeating one section of the ACCUPLACER if necessary. Information about the new “Fast Track” option as another way to bypass non-credit classes will be presented during the workshop as well. Refreshments will be provided by CASC Food Service, and area adults and high school seniors are encouraged to attend! Educational Opportunity Center is one of the TRIO programs housed at Carl Albert State College, and is funded 100 percent by the U.S. Department of Education. The EOC program budget is $510,799 and serves 1675 participants. For more information contact EOC at 918-647-1396. Sequoyah County has a new claim to fame, a new attraction. That attraction used to be a bit of a secret to everybody who doesn’t live in Sequoyah County. 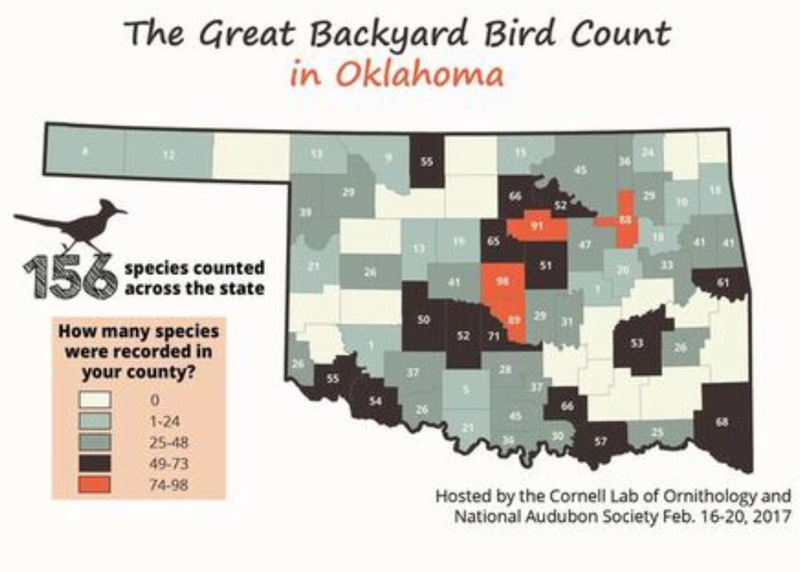 The Oklahoma Department of Wildlife Conservation (ODWC) unmasked that secret last week when it listed the state’s top places to watch birds. Sequoyah County is number 10 on the list of top counties to observe the state’s birds, and the Sequoyah National Wildlife Refuge (NWR), south of Vian, is number two on the state’s Top Hot Spots to observe birds. The ODWC, which has to be the best of its kind due to its quality, reported on the county in its March 22 “The Wild Side” email bulletin. The reported numbers, on the birds observed in the county, were taken from The Great Backyard Bird Count, hosted by the Cornell Lab of Ornithology and National Audubon Society on Feb. 16 through 20. Most of the birds were, of course, spotted at the Sequoyah NWR, reported by bird watchers participating in the Great Backyard Bird Count. The report confirms 61 bird species were reported in the county, 53 of which were spotted at the Sequoyah NWR. Birds spotted at the refuge include ducks of all varieties, flocks of snow geese that may reach up to 20,000 in number, the largest flock in the state, and, of course, bald eagles that nest in several locations. An estimated 250-plus bird species are thought to use the bottomland forests and associated habits in eastern Oklahoma. Now the ODWC is gearing up for another citizen-scientist project, the Virtual Spring BioBlitz, which begins April 1. This project is hosted by the Oklahoma Biological Survey, and is free. To participate, set up a free account at iNaturalist.org and join the Virtual Spring BioBlitz! OK 2017 Project. Participants record observations using a smart phone app or add observations directly to the website. Although the project doesn’t start until April 1, participants may practice by recording observations right away. Participation is free and prizes will be awarded to the top observers. New challenges will be posted each week with opportunities to win additional prizes and compete with fellow citizen scientists statewide. During last year's inaugural virtual BioBlitz!, more than 2,000 observations were made, inventorying 701 species in the state. Get more information about this and other Oklahoma BioBlitz! projects by searching for Oklahoma BioBlitz! on Facebook. 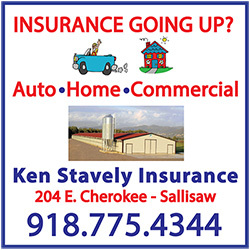 Sequoyah County may make it into the top 10 again. The Pervasive Parenting Center hosted the third annual Trivia Night Saturday at Carl Albert State College in Poteau and raised over $2,500. More than 150 attended the event, which had a Super Heroes theme. Fifteen teams competed. Funds raised will go to the Pervasive Parenting Center and will be used to help families in the area living with disabilities. 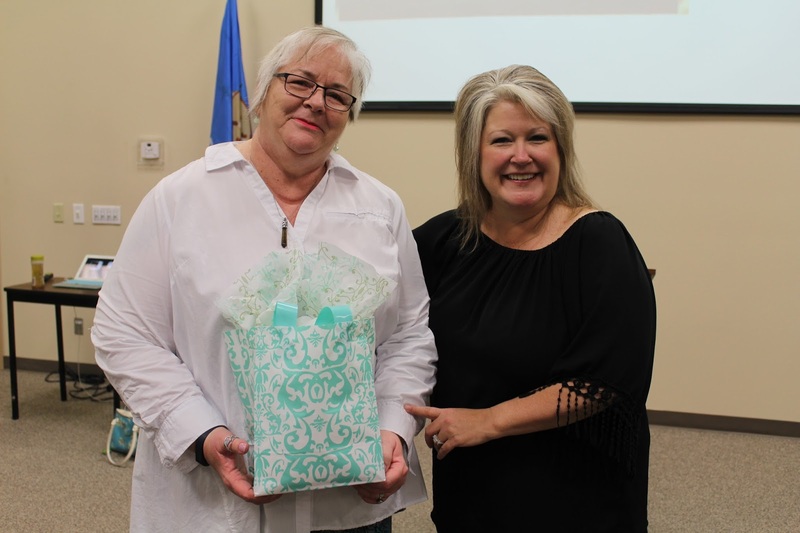 In the past the center has donated more than $1,000 to local special education departments in LeFlore, Sequoyah, Latimer, and Haskell Counties. The center also helped with autism training for more than 1,000 local teachers, professional, and parents. They center hosted Sensitive Santa in three counties as well as Sibshops for siblings of children with disabilities. Members worked with state-wide resources to hold trainings and conferences in the area related to developmental disabilities. Winner of the Team Costume Contest was the Resistance, a team made up primarily of students from Panama Schools. Second Place in the trivia competition was the Dewey Medical Plaza team. First place in trivia went to Flash Point, a team led by Carl Albert State College President Jay Falkner. The Individual Costume winner was Nick Gutierrez of Panama. “We want to thank all the sponsors, contestants, volunteers, and board members for helping make this event a success,” said Toney. For more information on the Pervasive Parenting Center visit www.pervasiveparentingcenter.org. The Pervasive Parenting Center will host an Autism Awareness Walk at 3 p.m. April 8 at Roye Park in Stigler. The walk will be held to raise awareness and acceptance for the growing number of children diagnosed with autism each year. Everyone is welcome to attend. There will be free food and drinks available. According to the Center for Disease Control 1 in 68 are diagnosed with the neurological disorder. Autism Spectrum Disorder affects children’s social and language skills. 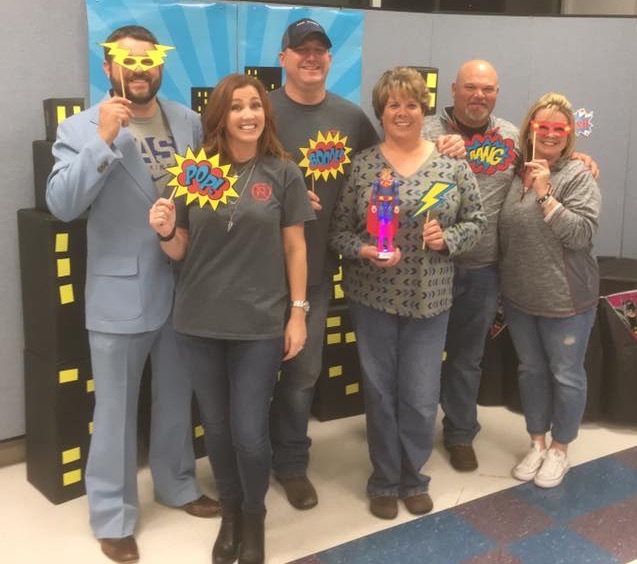 The Pervasive Parenting Center was created to help families in eastern Oklahoma find resources available for people diagnosed with autism and other disabilities. For more information contact Toney at 918-658-5076 or ktoney@pervasiveparentingcenter.org. 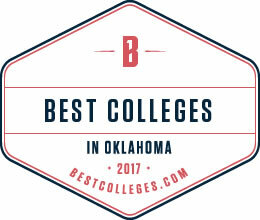 BestColleges.com has ranked Carl Albert State College (CASC) as the top community college in Oklahoma for 2017. This number-one ranking is based, among other things, on CASC providing a quality education that students can afford in the state of Oklahoma. Fifteen community colleges in Oklahoma were included on the list. BestColleges.com annually provides information and rankings of colleges and universities throughout the country. 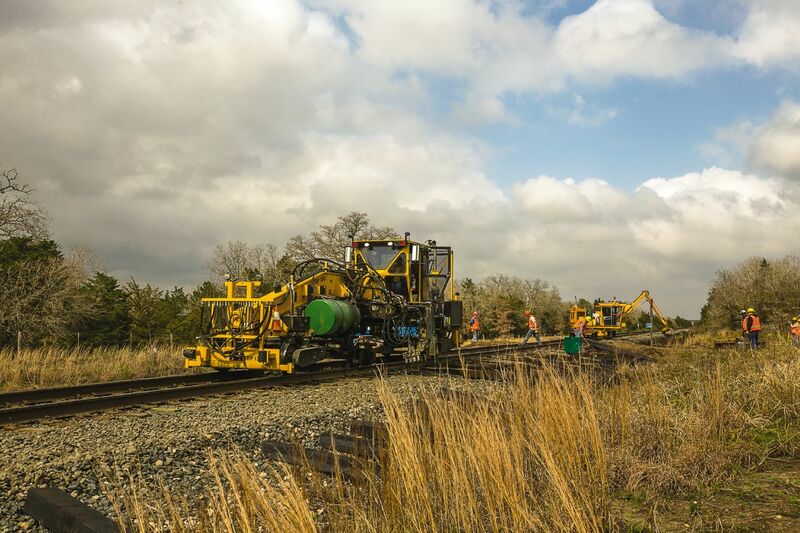 Union Pacific Railroad is in the final stages of replacing railroad track ties in the 55 miles of Union Pacific track between Alma and Gore. Jeff DeGraff, Union Pacific spokesman, said the project began on March 9 and is slated to be complete the first week in April. DeGraff said the tie replacement is preventative maintenance to maintain track integrity, such as alignment. He said not all ties are replaced. Only a certain percentage per mile are replaced. Union Pacific will use about 53,000 ties and 24,000 tons of rock ballast for this project. 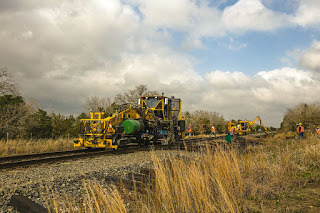 He explained that as the old ties are pulled out and new ties set, ballast is added and tamped down by machine to keep the track level and safe. DeGraff said two work crews, called gangs, are replacing the ties, and gangs include 10 to 12 workers each. The project has a $7 million cost for the 55 miles from Alma to Gore, he said. DeGraff said drivers may find that Union Pacific crossings are closed for portions of the day as the work continues. The crossings are closed for safety as equipment and materials are moved about he explained. Union Pacific Railroad has a total of 32,000 miles in its network, DeGraff said. 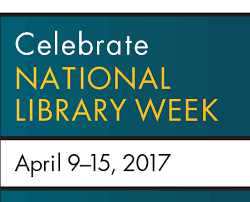 Carl Albert State College (CASC) will join libraries in schools, campuses and communities nationwide in celebrating National Library Week April 9 – 15. -April 11, 5:30 - 6:30 p.m.: EOC and CASC Workshop: Part 3 - The Adult ABCs of Entering College and Technical School Workshop Series with emphasis on Accuplacer testing. The Delores O’Guin Mitchell Library on the Sallisaw campus will provide free punch and cookies for library patrons April 10, 11, and 12. To learn more about what the College’s libraries have to offer, visit carlalbert.edu and click on “Library” at the top of the home page. The 2017 Remember the Removal Bike Ride participants are, from the left, Will Chavez, Raven Girty, Breanna Anderson, Shelby Deal, Susie Worley-Means, Gaya Pickup, KenLea Henson, Hunter Scott, Ellic Miller, Brian Barlow, Trey Pritchett, Skylar Vann and Macie Sullasteskee. The Cherokee Nation selected 10 cyclists for its 2017 Remember the Removal Bike Ride this June. The ride allows young Cherokees to retrace the northern route of the Trail of Tears by bicycle. The 10 cyclists, ages 16-24, started training in February for the 950-mile journey that spans Georgia, Tennessee, Kentucky, Illinois, Missouri, Arkansas and Oklahoma. "It is an opportunity of a lifetime to participate in the Remember the Removal bike ride. It's a living classroom and leadership skills workshop all rolled into one three-week event," said Cherokee Nation Principal Chief Bill John Baker. "Year in and year out we see our young people blossom upon their return. They have a fuller understanding of our Cherokee history and heritage, and they have made lifelong bonds with one another." Students were selected based on essays, interviews and a physical to ensure they are up for the grueling challenge. They travel an average of 60 miles a day, mirroring in part the hardships of their Cherokee ancestors who made the same trek on foot. Of the estimated 16,000 Cherokees who were forced to make the journey to Indian Territory, 4,000 died due to exposure, starvation and disease, giving credence to the name Trail of Tears. A genealogist will map out each rider’s family tree prior to the trip, providing cyclists with an insight into their ancestral past. The ride takes them to several Cherokee gravesites and historic landmarks, including Blythe’s Ferry in Tennessee, the westernmost edge of the old Cherokee Nation, and Mantle Rock in Kentucky, where Cherokees huddled together for warmth under a hanging rock, the only shelter they could find during a frigid winter. The tribe also selected Will Chavez, 50, of Marble City as the inaugural “Mentor Rider.” Chavez is a participant of the original 1984 Remember the Removal Bike Ride. Two alternates were also selected in the event one of the 10 cyclists cannot participate in this year’s ride. The Cherokee Nation cyclists will be joined by cyclists from the Eastern Band of Cherokee Indians in North Carolina and start the ride in New Echota, Ga., on June 4.